The "Food Compass" is a mobile application that will be accessible across several platforms to reach people digitally. INDIANAPOLIS — There is a new way to make sure people don't go hungry in Indianapolis. This week the city announced a new digital platform to connect food-insecure people with critical resources. Nearly one in five people are food insecure in Marion County. And at the St. Vincent DePaul food pantry, more than three thousand families come through each week. "I'm on social security and disability," Stephanie Dolzall said. "And without the food pantries, I wouldn't be able to make it through the week." But even those who utilize food banks say they're unaware of everything the city offers. "Applying for SNAP is a complicated process and you don't always know when food pantries or soup kitchens are going to be open," said Joe Glass. "So this will be a one stop resource for folks to get all the information they need to know what food resources are out there." It's a mobile application that will be accessible across several platforms to reach people digitally. "It will be available over Facebook messenger, over text and voice options," said Glass. "There will also be a classic iPhone app option so folks with different levels of capability can make sure that they can access these resources." 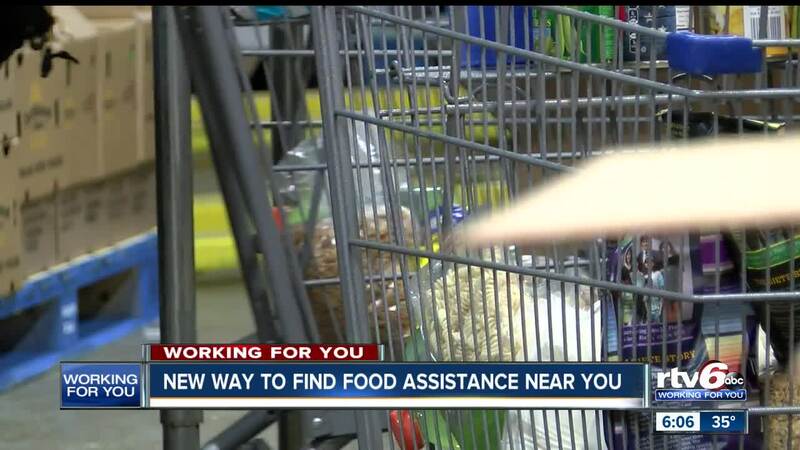 It will include a "food pantry finder" -- an "event finder" for farmers markets and mobile pantries -- and an "eligibility calculator" to determine which assistance programs people might qualify for. It aims to close the meal gap and make sure people don't go hungry. The application will be available sometime next year. In the meantime, the Saint Vincent DePaul food pantry relies entirely on donations. People interested in donating to St. Vincent De Paul can do so by navigating to their website: www.Svdpindy.Org and the "I want to help" tab will guide them the rest of the way.